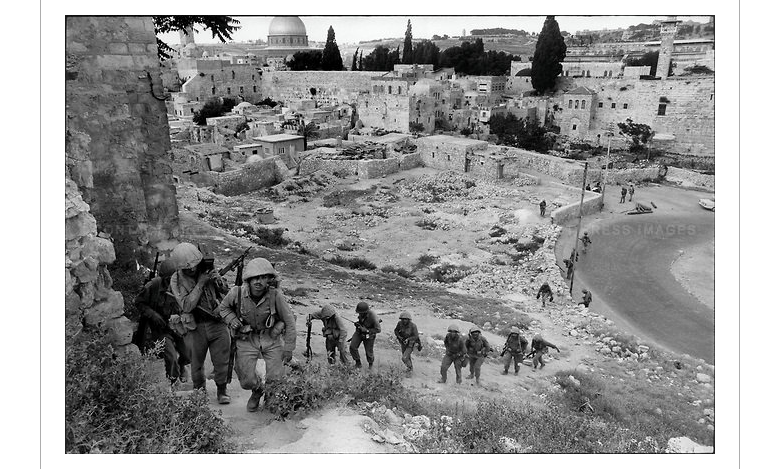 This photo from "The Six Day War" shows the brave soldiers walking up the deep hills of Jerusalem by the Kotel. Do you see the Kotel in the back left? And all those houses in front of it – which are no longer there??? I often stare at this picture for long periods of time and think of these men. Did they all make it home safely? Thanks to them, I am able to pray freely at the Kotel and walk around this area. What a blessing to have Hashem guide their every step! And then I ask… what can I do for soldiers just like them? Of all the projects we support in "Build Up Israel" one of them is for IDF combat soldiers. These young men are in a combat unit called "Nahal Haredi" where 100% of them are Torah observant and well versed in the Talmud. Yet, they do not rely exclusively only on their prayers or Torah learning. They take their Torah onto the battlefield – like the greatest heroes of the Bible – and fight the battles of Hashem! This IDF unit is building a unique training center in Jerusalem… just a few minutes away from the picture above. CLICK HERE to help build that center. Let these soldiers know that we appreciate their efforts and applaud their service. Turkey and Israel: Happy Together? UK Labour Party: Haven for Racists? Why Is the U.S. Embracing Iran - AGAIN? Why Can’t the Left Stand Netanyahu? A Just "Arrangement" for Amonah – Do It now! "Zionist Halacha" - Does Such a Thing Exist?" Obama’s November Surprise for Israel? What is Wrong with the Right?